"I saw you on the beautiful beaches and in the lakes turquoise blue. 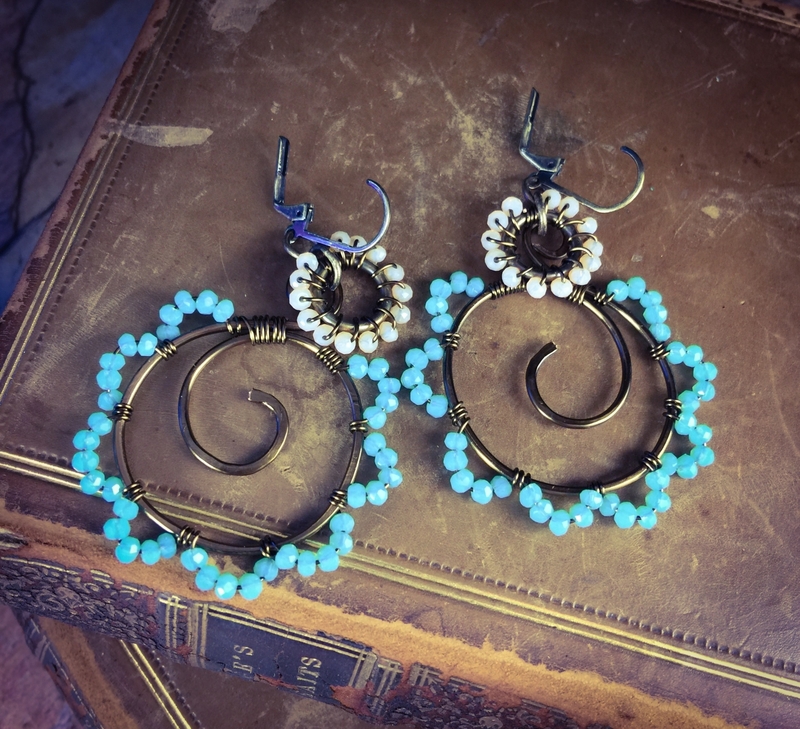 You were so beautiful to me, my Michigan love"
Circles of my hand wire wraps in sand and turquoise colored crystal on lead and nickel free oxydized and sealed brass wires. They measure 1 7/8" long and are attached to lead and nickel free leverbacks. They ship quickly and arrive gift packaged.